One more week of school, and I'm starting to think about summer reading. Typically, I use the summer to catch up on all of the reading I have not done all school year- professional books and adult novels included. I also try to add a bunch of new kids' books to my repertoire, so I will be ready to recommend books to kids in the fall (when people ask me about my secrets to helping kids grow as readers I usually give say, "Recommending great books, providing lots of time for kids to read, and no bathroom passes during independent reading time!" Ok, that and a little strategy instruction, but it's mostly just knowing lots of great books that will pull kids in). EDGAR SAWTELLE- I got this adult novel for Christmas, but have not even cracked the cover. It's at the top of the pile. FINDING THE GROOVE: COMPOSING A JAZZ-SHAPED FAITH by Robert Gelinas. Robert is the teaching pastor at the church we attend. He is an amazing man (ok, I would say that about anyone who had adopted eight children). I've learned so much from him over the past three years and can't wait to read his book. READICIDE by Kelly Gallagher- The English Companion Ning will be doing a book club on this starting on June 1. I have never done an online book club and thought it would be fun to give it a try. Tom Newkirk's new book, HOLDING ONTO GOOD IDEAS IN A TIME OF BAD ONES. Tom was my dissertation chair. He's the biggest, most forward-looking thinker I know. If he wrote a book about tiddlywinks, I'd read it, because I know I would learn something. THE WORKSHOP BOOK- another one that everyone is talking about. THE GRAVEYARD BOOK by Neil Gaiman. I always try to read the Newbery. 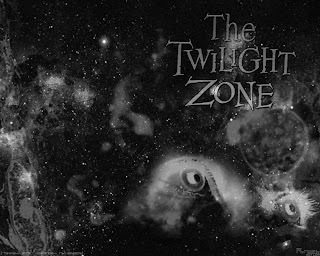 I don't like scary/horror genre (I don't know that this one is that, but it sounds that way, a little anyway), but I'm going to give it a try. Susan Patron's new LUCKY book. This is just a start on the list. I'd love to hear what everyone else is reading, so I can add to my list. Yesterday, my niece was born. I held that sweet, dark-haired baby in my arms and wished her a world of joy, faith, and great friendships. Today my niece is graduating from high school. I wish her more of the same. This is actually the end of this poem, but it's my favorite part. Read the beginning here. Poetry Friday is at Susan Writes. Last summer, someone pointed me toward HOW TO STEAL A DOG. The book jumped right onto my list of all time favorite super great reads, and I've devoted this year to reading all of Barbara O'Connor's novels. She is the woman! Aside from the fact that she has pictures of the world's cutest puppies on her blog, she writes such good stuff. Her characters are the kids I teach and love- most of them don't have "perfect" parents, they aren't straight A students, lots of them don't even have best friends. Barbara O'Connor's chararacters are kids who have tough lives, find help and support in unlikely places, and are somehow managing to make it through. They give my kids hope. Marvin is one of those kids. He loves, loves, loves music and wants to learn to play the piano. Marvin's dad thinks music is for sissies, and wants his son to play baseball instead. Marvin finds support for his passion from a neighbor, Wylene, a reclusive neighbor who works in a handkerchief factory and loves music as much as Marvin, from Sybil, another kid who has a less than traditional life and is somehow remarkably sane and grounded, and from his grandmother, Hazeline. This is a novel about following your passions. It's a novel about self-acceptance. It's a novel about surviving with less-than perfect parents, in a less-than-perfect world. And it's a darn good read! I went out to get the paper this morning and found a beautiful new picture book from my friend Laura. 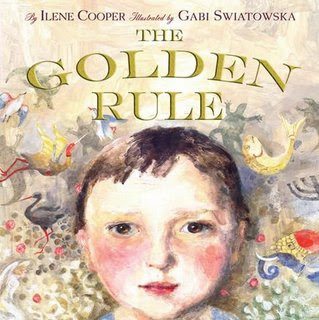 THE GOLDEN RULE, by Ilene Cooper, is one of those books that is very simple in terms of the story line, but absolutely breathtaking in terms of the depth of its message. A little boy is taking a walk with his grandfather, when he sees the Golden Rule, "DO UNTO OTHERS AS YOU WOULD HAVE THEM DO UNTO YOU" on a billboard. The boy asks his grandfather about the billboard, and the grandfather tells his grandson that it means that you should not do anything to anyone else that you would not want done to you. The grandfather then explains to his grandson that all cultures have a version of this very important rule. He shares versions from Christianity, Judaism, Islam, Buddhism, and the Shawnee tribes. The boy and his grandfather discuss the concept a little more, and the grandfather tells the boy that he could begin to apply the Golden Rule by using his imagination, "Imagine what it would feel like if you were a new child at school…" The last page of the book leaves kids with a very powerful visual image of this message. The illustrations in this book are gorgeous. Oil paintings, I think. The closeups of the faces are so, so beautiful. And each page that explains a different culture is done in that culture's artistic style. Absolutely perfect. Aren't aware of anything going on around you. Feel like you are in the book. Have a movie in your head. Can hear the characters' voices in your head. You want to tell other people about your book. Often want to keep reading, even when time is up. Easily make/exceed your page goal. Aren't bothering or distracting other readers. Today, my kids "zoned" with their books for 45 minutes- quite a change from the 15 minutes they could do when we started in the fall. Most of the kids are showing some really good growth in the end of year assessments, I firmly believe that the biggest contributor to this growth has to do with making sure the kids were exposed to great books and spent lots of time in the "Zone." I've been reading Franki's incredible 21st century literacy posts, thinking about how I use the computer, and thinking about how the computer has changed my process as a writer. At the same time, we are getting new computers for our tech lab at school (FINALLY!) and are talking about how we want to use those computers with kids. This weekend I helped Son #1 finish a research paper for school. I think back to when I was in high school and wrote research papers. We had to do all of the research on note cards, then we wrote an outline, then we hand wrote a rough draft, then we typed it. If you made a mistake, you could use white out, or this little white correcting paper stuff, or if you were really high tech, you had a computer with white correcting tape built in. And heaven help the person who got down to the bottom of the page, or worse yet, the end of the paper, and realized that they had forgotten to leave room for the footnotes. Definitely a "Do not pass go, do not collect $200" situation. Zay's process was very different. He didn't take notes on the computer (although in some schools I imagine he might have), but from there on out, the process was all done on the computer. He wrote the rough draft on the computer. He saved it. He printed it out. He took it to school last Monday and got feedback from the teacher. I helped him make the revisions the teacher suggested, which took about an hour, and voila, we had a finished research paper. that happen to us as a nation." I thought of this quote today, when Connie, my teaching partner told me a story about one of our fourth grade girls. M is a smart, take charge young woman, with potential oozing out of every pore. Like most of our kids, however, M has been through a lot, and as a result, can be one pretty tough cookie sometimes. Last week, M and the rest of her group spent three days with me while Connie worked on a "project" for our assessment department. I had taken my entire poetry collection to school for the month of April- serious and silly, nature and sports, classic and brand new. Connie's group and mine spent those three days wallowing in poetry and creating anthologies of favorite poems. She returned to the book each day, copied down "Tuesday" and two or three poems for her anthology, and then asked if she could borrow the book for a little while. I said sure, and then kind of of forgot about it. Today, Connie told me a story I will remember for a long time. Yesterday, after independent reading, the very volatile Miss M shared GIVE ME GRACE with her classmates, commenting, "This is my calming down book. When I am about to blow up, I read this book and it calms me down. You guys ought to try it." Poetry, as a "calming down" tool. Poetry as away to help this quick-tempered young woman soothe herself and make good choices. Poetry as a way to make a kid's world a more peaceful place. Pretty powerful stuff, this poetry. Dashed into the library yesterday at noon to find a read aloud. I'm in between chapter books and just needed something quick and fun to fulfill my promise of reading to my fourth and fifth graders every single day. I had read about CHICKEN CHEEKS somewhere (YEAR OF READING?) and was delighted to find it in the new book bin in our library. I was definitely not disappointed! My fourth grade boys loved CHICKEN CHEEKS. I read it once, then had to read it again when the fifth graders arrived from play practice. One of the boys stayed after class to complete a reading inventory and shared the book with a third grader who had come in to see me about something else. Of course he made me promise to read it to his group today. 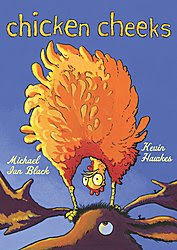 CHICKEN CHEEKS is a book I could use to talk about word choice, or alliteration, or synonyms, and I might, at sometime in the future, but today we just flat out enjoyed…a groaning, guffawing, giggling read that I know I will have to purchase more than once, because kids will wear it out. Fun, fun, fun! 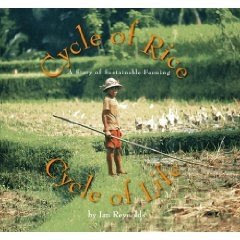 Earlier this week, I was honored to be part of the blog tour for Jan Reynold's terrific new book, CYCLE OF RICE, CYCLE OF LIFE. Just wanted you to know that Jan has moved on to Lori Calabrese Writes. Lori's done a fabulous interview and has lots of interesting information about the life of this very adventurous author. Be sure to check it out. According to Lori, Jan's publisher, Lee and Low is currently offering a 26% discount, plus free shipping, on CYCLE OF RICE. Just use the discount code JanTour. I don't know about you, but when I hear book and discount in the same sentence, I get a little excited! Wow! What a month in KIDLITOSPHERE! I can't let this month end without saying thank you to a few folks who made National Poetry Event such a wild and crazy time in our world. I so, so, so loved Gotta Book's "Thirty Days, Thirty Poets" series. And Miss Rumphius Effect "Poetrymakers" series. 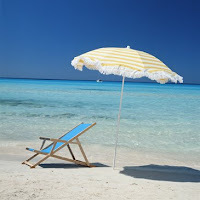 And all of the wonderful reviews on one of my absolute favorite blogs, "Year of Reading." Thank you, thank you, thank you to Gregory, Tricia, Franki and Mary Lee, and all of the other folks who did so much to make so very special. 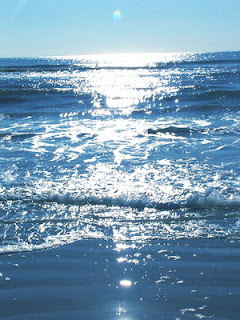 It was fantabulous!!!! Yesterday we celebrated "Poem in Your Pocket" at my school. One of the fifth grade teachers shared a Shel Silverstein poem, the one about the lightbulb with the cord that reaches to the sun. His poem made me think about the very first poetry I shared with kids, when I was a baby teacher, just learning to teach. Someone had given me a copy of Silverstein's, WHERE THE SIDEWALK ENDS when I graduated from college. It was the only poetry book I owned. I started teaching at a rough school in a rough urban neighborhood. I was a green, green baby teacher, without a clue as to how to tame the 28 first and second graders that walked in that first day. They were wild, wild, wild, and that first year was rough. It was hard to get them to sit down, let alone learn anything. One thing they loved, more than anything, was Shel Silverstein's poetry. We read it, shouted it, danced it, sang it, acted it, drew it, painted it, shared it. By the end of the year, the cover had fallen off of the book and been taped and retaped. My kids walked out the door with at least twenty poems committed to memory. Twenty-five years later, I know and love lots and lots of poets, and lots of different kinds of poets. 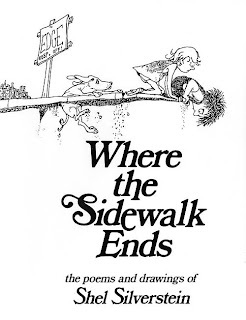 I can't let this month close, however, without honoring my dear old friend, Shel Silverstein. Here is a link to his website, which has lots of great stuff, including Shel actually reading some of his poems, and bookmarks, and other activity pages. The first poem I remember reading to kids was "I'M BEING EATEN BY A BOA CONSTRICTOR." My students also loved "SARAH CYNTHIA SYLVIA STOUT WOULD NOT TAKE THE GARBAGE OUT." And then there was "JIMMY JETT AND HIS TV SET." Thank you, Shel, for setting me out on a lifetime of poetry!